OK, I just watched the pilot of "Elementary". A bit clunky at first, but it drew me in, sort of. 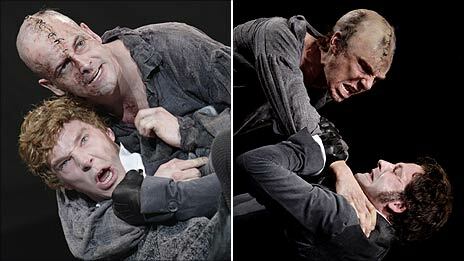 It's missing both the wonderful manic energy and the subtlety of "Sherlock", and lacks its humor too. A pale comparison. Lee, I thought the same thing! Lucy Liu should be Sherlock and JLM Watson. I like Aidan Quinn, but not his accent. Nice to see Dallas Howard--from "A Home at the End of the World"--as guest star. Sorry, Jeff, I haven't seen your Jeremy Brett. Perhaps Netflix has it. BTW, Elementary isn't on hulu, but I found it at cbs.com; ghastly website. Oi! Several series of Sherlock Holmes stories with Brett as Holmes ran on Mystery! on PBS--produced by WGBH, your own home town PBS station. Try the PBS Web site. They are well worth viewing--and having in one's library. I thought I mentioned it somewhere on this thread but I can't find it. 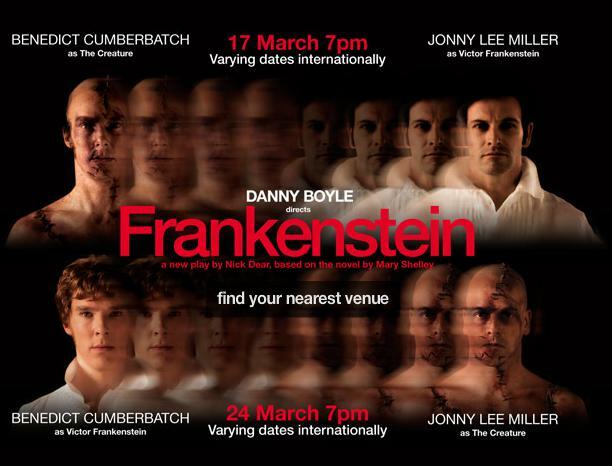 Jonny Lee Miller starred with Benedict in the National Theater production of Frankenstein back in the spring of 2011. It was filmed and showed in limited release in the US. I caught a showing. I'm sure Miller talked to Bene a great deal about how it was to play a modern day Sherlock and when Jonny got the opportunity to play Sherlock, he couldn't resist. Yes, I remember that. Interesting turn of events. I'm sure Miller talked to Bene a great deal about how it was to play a modern day Sherlock. "Elementary has gained one influential ally: Sherlock star and Miller pal Benedict Cumberbatch has given the CBS show his blessing." On the East Coast, anyway, the answer is "nobody," because the Biden-Ryan vice presidential debate is on. This. Sorry, was watching the debates.